Thanks once again for the clarity. 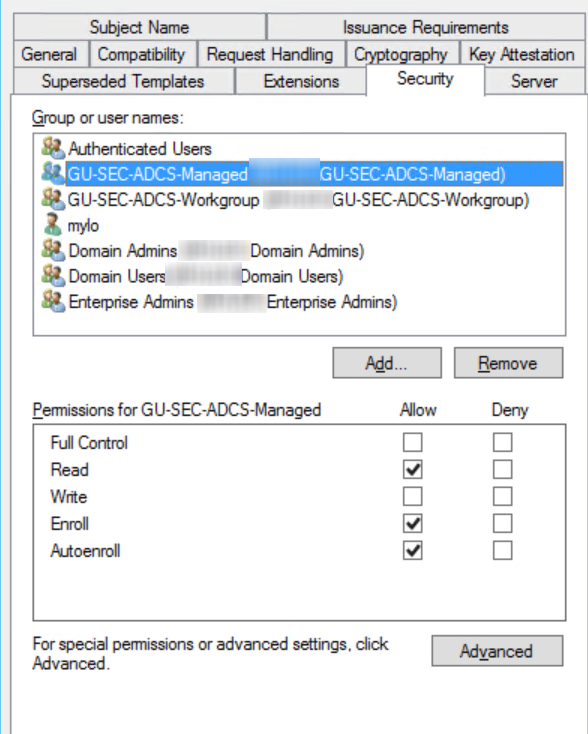 I am working on the various options available for 2 factor authentication for Office 365 and would like to confirm if my understanding is correct. Please suggest if there are any further options. 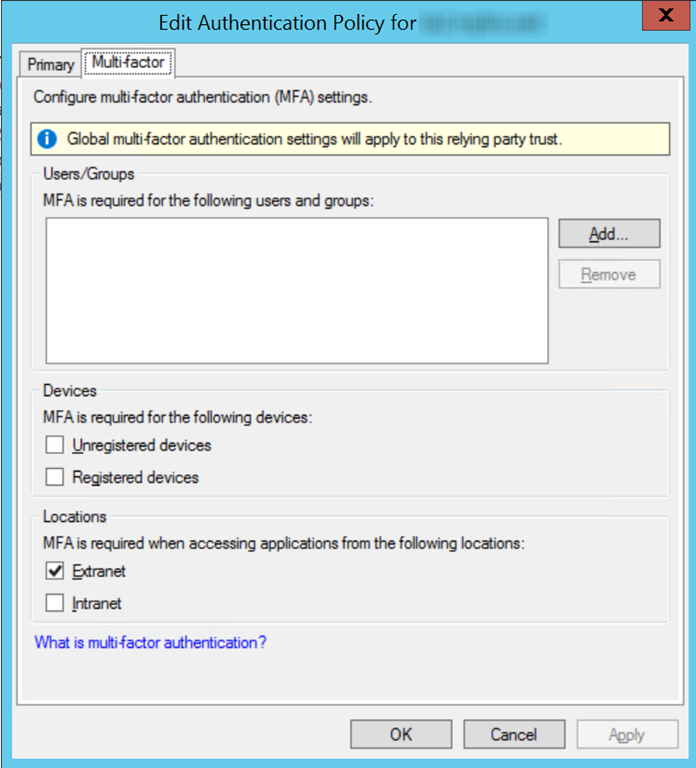 Can we have Cert based authentication (soft cert) for devices that dont support Workplace Join example: Android device till version Kitkat & all supported workplace join devices to use Workplace Join feature as additional factor of authentication? If yes, IS PKI server a mandate or internal CA server would do for an environment of 5000 users? 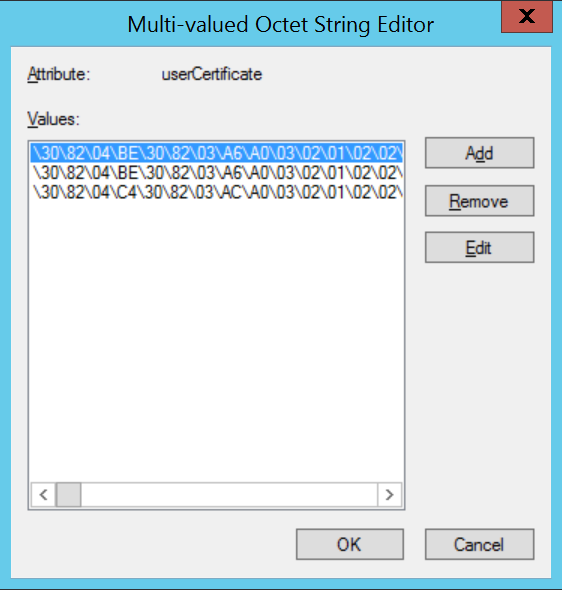 Yes you can, but the certificate is used as an MFA credential (on Android) and you’ll have to do your own OTA to get the certificate on the mobile device, i.e. no Workplace Join. I’m writing a post about MFA policies right now and it should be on the blog within a week. From personal preference, I would always look at an internal PKI and use a two-tier CA hierachy for that number of users, although some sort of Managed PKI may also be up to the task. 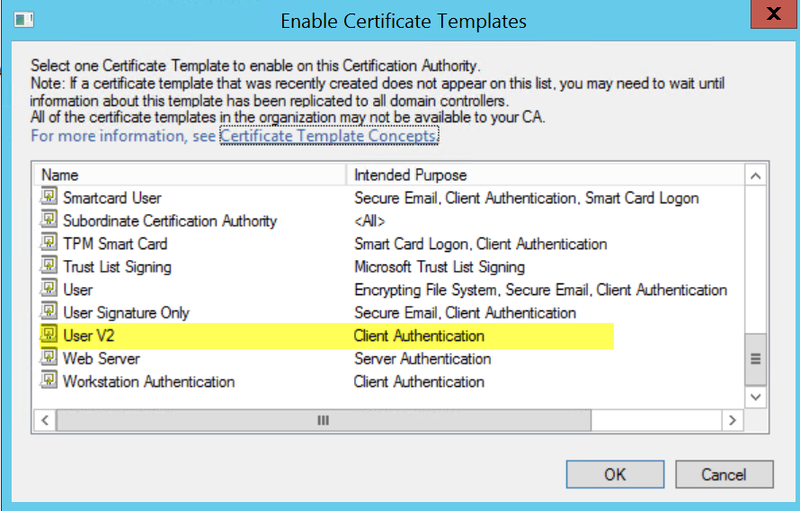 Is Cert based auth (CBA) not available for Office 365? Is it not supported by Microsoft for Office 365? My recent discussion with few Microsoft folks, suggested that Cert based auth (CBA) not supported for Office 365. Because Outlook , Lync & Mobile uses Basic Auth & thus CBA wont work for them. 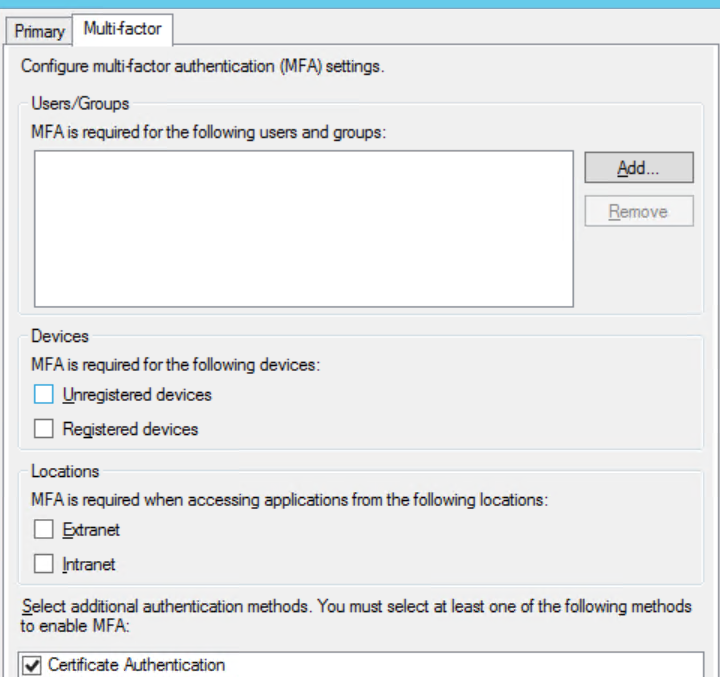 In your blog, u have pointed out Cert based as 2FA or MFA, so technically it should support user who are getting authenticated for Office 365? Hi Mylo, great article, I’ve played with this config before but come up against use acceptance on the 2FA ‘popup’ when it asks which cert to use. 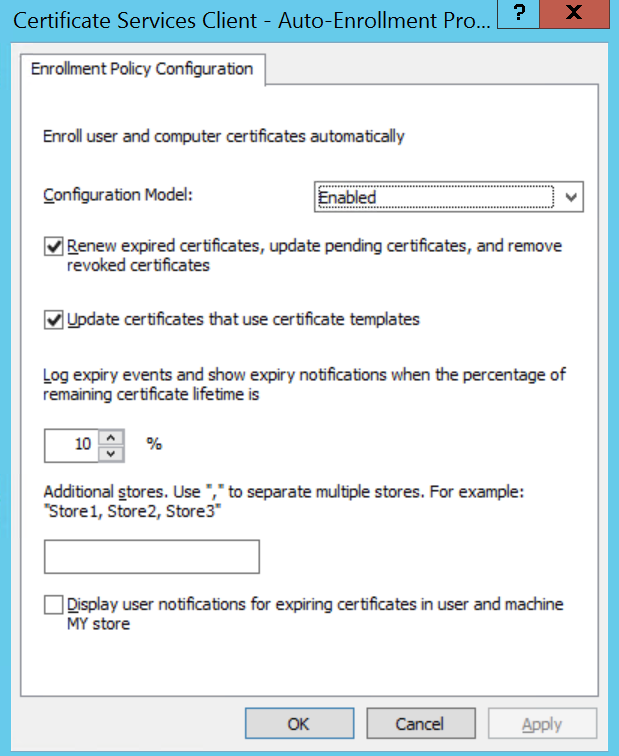 We have our auto enrolled cert and a self signed one from Lync in the list for all standard users. 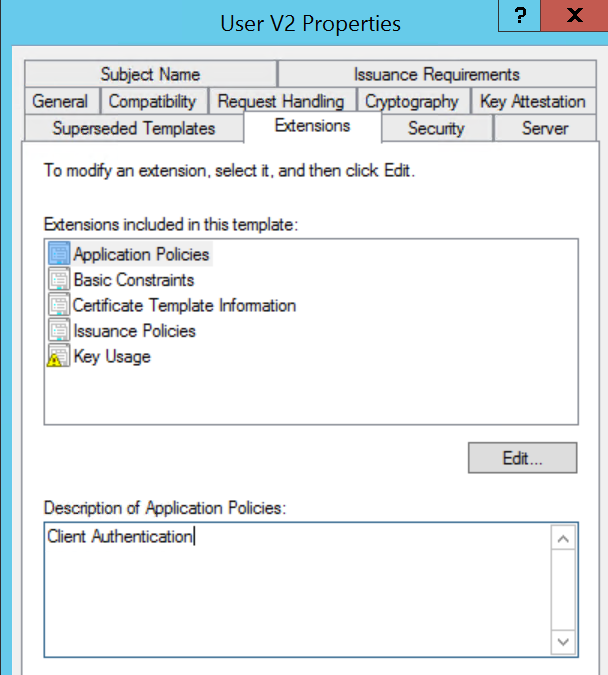 Do you know of a way to get ADFS to automatically select the domain issued cert? Either in ADFS3 or 2, hopefully natively, or do we need to resort to .NET coding 🙂 ? Great article! We are using AirWatch to manage mobile devices. If we generate the user certificate internally, and apply the certificate to the mobile device, will that be fine? Do I need to export the private key as well? Hi Mylo, thanks a lot for the great article! 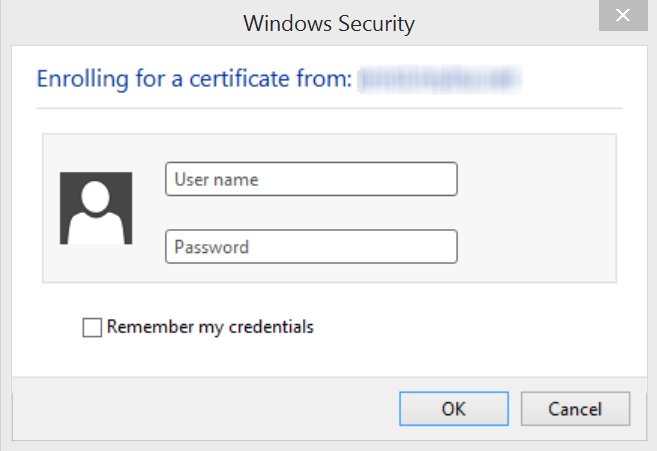 – Is this a requirement not to use the default user certificate template? I’ve not tried with the User certificate template, but whatever the cert you use it’ll need the client authentication OID .. On the CRL DP question, yes the CRL DP being an internal LDAP URL will be a problem as remote clients won’t be able to reach it.. I generally opt for HTTP CDP endpoints for that reason. Hi There Mylo! Hope you’re ok.
I’m having the same error that Thomas has described: “There is a problem with the X509Certificate provided by the client”. Do you have a clue why is that happening? Is it maybe because the CRL DP can’t be reached by the AD FS (the two domains are isolated)? I would appreciate if you could check the reply I just posted to Mylo out. I’m looking for help in this subject. The CDP should be reachable from both environments. Post back if you have any further questions. I have everything setup, with the Internal CA’s root certificate trusted in the trusted root cert and NTAuth containers. 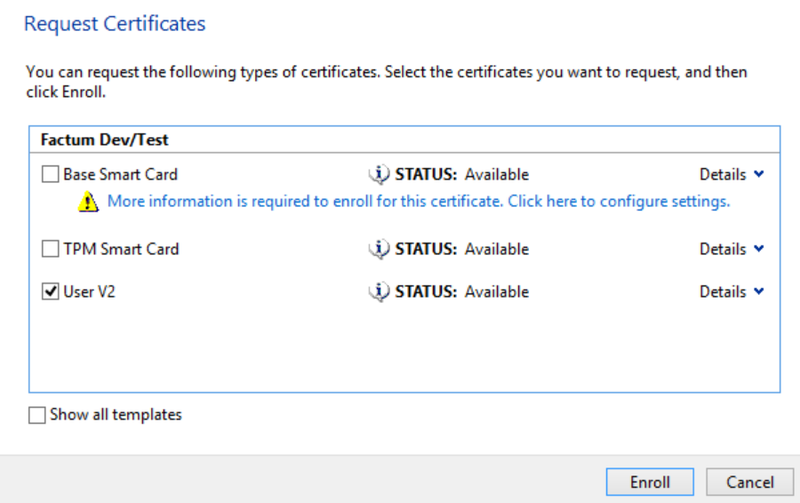 But clients are not prompted to select a certificate. After they enter their credentials ADFS just sits there without any errors in the events logs. This is for internal clients only, no WAP involved yet. Any ideas where I should look? 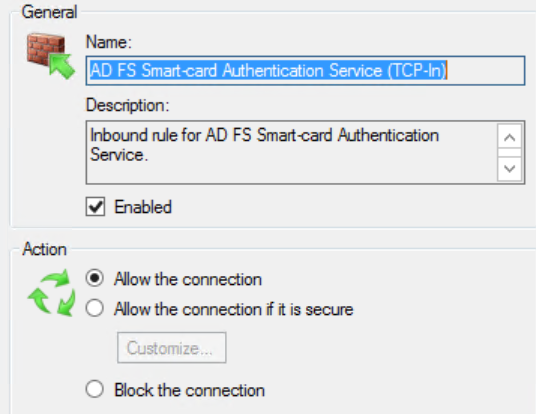 Not sure what version of AD FS you’re running, but is Port 49443 also open on the firewall for certificate authentication?